We quite possibly don't know all the Pools in Mumbai. Are you missing any? Contact us!. Regular users from the following varieties of Mumbai Swimming Pool told us probably the most essential point about swimming is to manage your breathing. Sometimes this is not attainable due to the fact we raise the neck to breathe along with the body is not aligned. To avoid this, our head need to be aligned with our spine all the time. Please have a look at the pools swimmers like you might have reported near Mumbai. Please, report any Mumbai Pool not listed here. Please use the contact info supplied at each pool profile to check if they are providing aquagym lessons, because is not so widespread to see an Aquagym in Mumbai. There are typically discounts accessible to senior citizens and small kids for independent swim. 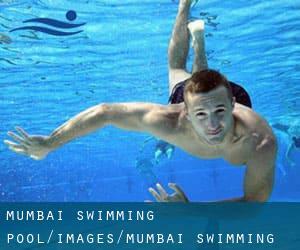 Discover by contacting your nearest pool among these varieties of Mumbai Swimming Pool. The perfect selection throughout your visit to Mumbai will probably be droping by a Mumbai Pool. If you're tired of possessing eyes and irritated skin, getting a saltwater pool in Mumbai can be the resolution. You need to know that the degree of salt from these pools is nicely beneath the level of salt from sea water, specifically they're talking about a tenth or less. There are many reasons why you must choose a heated swimming pool in Mumbai. The most necessary 1 relies on the importance of keeping the body temperature stable. When the water is as well cold, your body will try to warm it up and you will lose strength to swim properly. One of the advantages of outdoor swimming in Mumbai would be the possibility to sunbathe in the course of the summer season. Taking it with added care, sunbathing is wholesome since introduces Vitamin D into the body, so the best choice seems to be switching in between indoor and outdoor pools based on the season. Enjoy the best indoor pools in Mumbai and don't worry about the weather. These facilities are open all seasons and you can enjoy a swim at the same temperature every day of the year. 197, D.N. Nagar , Andheri , Mumbai (Bombay) , Maharashtra , INDIA (Postal Code: 400053). This sports centre provides 25 meters, Outdoors. Contact data for this Swimming Pool for example phone number and email address are number. Bhulabhai Desai Road , Breach Candy , Mumbai (Bombay) , Maharashtra , INDIA (Postal Code: 400036). Swimmers like you reported 33-1/3 yards, Salt Water, Indoors. Unfortunately we do not have the email address of this Swimming Pool, but we can give you the phone number. Nariman Point , Nariman Point , Mumbai (Bombay) , Maharashtra , INDIA (Postal Code: 400021). Among all the activities offered by the centre, should you be considering swimming you can enjoy 20 meters, Outdoors. If it is advisable to get in touch with this Swimming Pool, email address and phone number are both number. Updated on 2019 Sahar Airport Road , Mumbai (Bombay) , Maharashtra , INDIA (Postal Code: 400099). Swimmers like you reported ~30 meters, 5 feet uniform depth, Outdoors. Phone number and email address are number for this Swimming Pool.